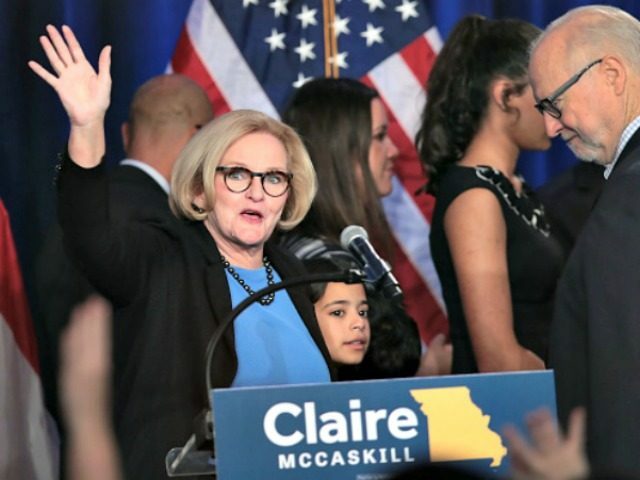 Sen. Claire McCaskill (D-MO), who voted against Supreme Court Justice Brett Kavanaugh, is now placing partial blame for her loss on the way Democrats handled the sexual assault accusations against Kavanaugh during his confirmation process. I don’t think my vote [against Kavanaugh] hurt me as much as the spectacle that occurred.There were mistakes made by my party in terms of how that was handled. I don’t think that communication [from Christine Ford] to the judiciary committee should have been kept private as long as it was. The FBI deals with a lot of confidential information, and that would have absolved [judiciary committee ranking Democrat Dianne Feinstein] of the very real perception that this was an 11th-hour attempt to gut a guy. In July, Sen. Dianne Feinstein (D-CA) received a letter from Christine Blasey Ford but did not share the letter until September amid the confirmation vote on Kavanaugh. McCaskill also shared her thoughts on who she believed to be the least friendly in the Senate and accredited Susan Collins as being her best Republican friend in the Senate. Aside from voting against Kavanaugh, McCaskill also faced other battles as she ran for re-election. McCaskill, who lost to Republican Josh Hawley by six points this month in Missouri’s Senate race, was exposed as favoring extreme gun control measures by James O’Keefe’s Project Veritas in October.